OD FAQs | Where can we do usability testing? And most importantly, see their eye movements live on the screen they are using. 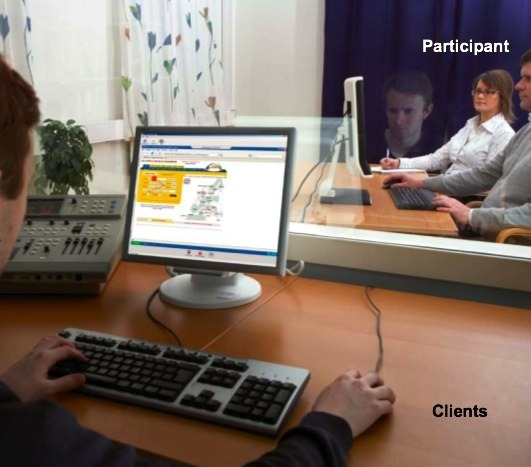 Being able to see participants’ ‘gaze paths’ on the screen in real time during a usability test greatly improves the usability test viewing experience, as it offers observers a way to gain rich insights into what the person is doing, while they are doing it. We often have clients getting so excited about this that they are calling their developers during the test to have improvements made to the site immediately! If you are unable to attend the usability testing, we can also facilitate it in our office at a lower cost. We record all the data listed above and you can watch it streamed live to your office over the Web. We also produce a DVD of video highlights for you to watch later. You can book our usability testing lab by emailing jbreeze@objectivedigital.com. Feel free to check out our other Usability FAQs on the Objective Digital website! This entry was posted in Uncategorized and tagged EyeTrackLab, OD FAQs, usability, usability testing, usability testing sydney by Objective Experience. Bookmark the permalink.